There are a lot of strategies for tracking and following up on abandoned carts. This guide will provide an overview of how to set up a basic abandoned cart tracking workflow for ActiveCampaign. Next, log into your ActiveCamaign account and create a new Automation. 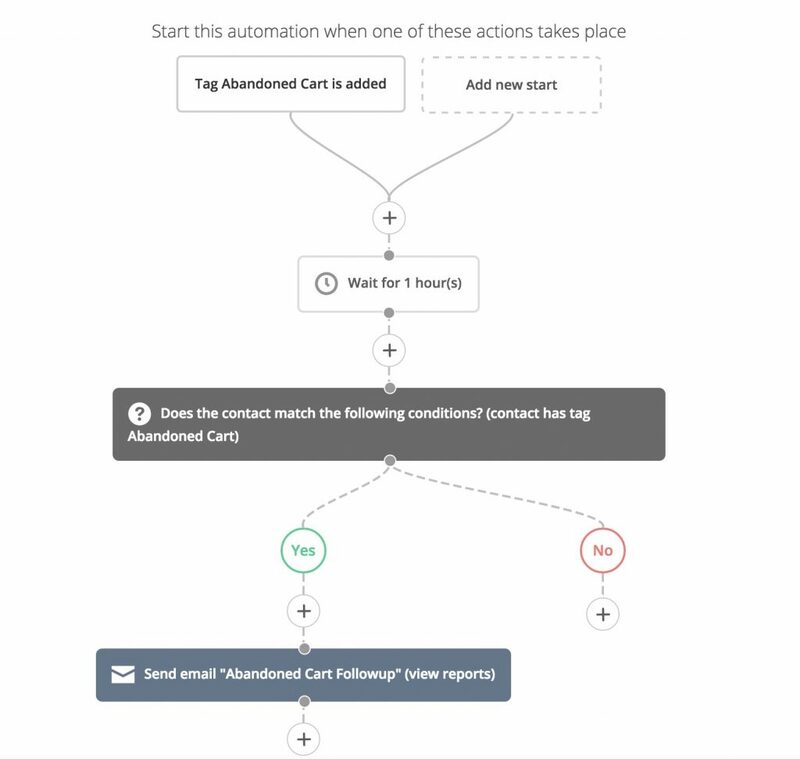 The automation should be triggered when the “Abandoned Cart” tag is added. Add a timer (one hour is usually a good amount), and after the timer create a condition like in the picture below.